Sydney Frederick Hutton was born in Roade, Northamptonshire on 10 September 1884. He was the only son of Frederick Robert Chapman and Maria Louisa Hutton, of 28 Chorley New Road, Bolton. His father, the Rev Frederick Robert Chapman Hutton was Vicar of St George’s Church, Bolton and St Paul’s, Astley Bridge. 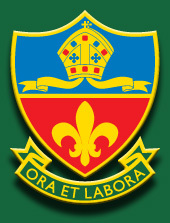 Sydney attended Bolton Church Institute from 4 September 1892 (aged 7) to 1898. He was a pupil at Sedbergh School from 1898 to 1901 and was also educated in Germany. He entered the business of James F Hutton & Co, Shippers, in Manchester. He soon left the world of commerce behind to read Theology at New College, Oxford, taking Second Class Honours about 1911. After his Ordination in 1913 he became Curate of St Peter’s, Swinton, Near Manchester. Sydney attempted - unsuccessfully - to become a front line Army Chaplain at the outbreak of war. He enlisted as a Private in the 8th Battalion Royal Fusiliers on 27 January 1916. His battalion went to France in August 1916. He was assisting a wounded comrade when a piece of shrapnel killed him on 7 October 1916, during the Battle of the Somme. Sydney was probably killed during the Battle of the Transloy Ridges. Starting at 1.45pm Fourth Army mounted an attack on 7 October: the objective for the Division was Bayonet Trench and 500 yards beyond. A small gain was made in spite of heavy enemy fire. So few men made it to Bayonet Trench that it could not be held. Continuous rain during the night hampered the removal of casualties and further forward moves. On several occasions he acted as Voluntary Chaplain, the last occasion being on the Sunday before his death, when his service was attended by 300 men. The Rev. F. R. C. Hutton, rector of Ashton-under-Lyne, and formerly vicar of St. George’s and St. Paul's, Astley Bridge, has received a letter stating that his son, Pte. The Rev. 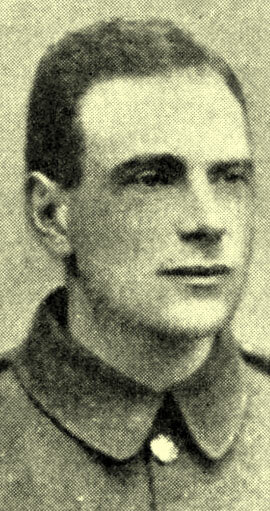 Sidney Frederick Hutton, Royal Fusiliers, who has been reported missing, was killed in action on October 7th. A private of the Middlesex Regiment has written to the Rector stating that he found the body of Pte. Hutton in a trench and buried him. He got his name and address from a pocket-book found on the body, and also found two photographs. Pte. Hutton was 32 years of age and unmarried. He was ordained in 1913 and licensed to the curacy of St. Peter's, Swinton. He enlisted as a private at the beginning of this year and went to the front in August last.